Save with CBA Member Discount! 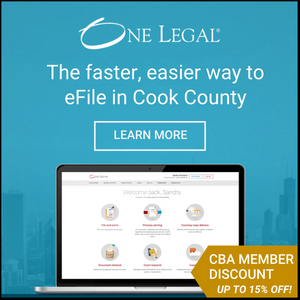 As a member of The Chicago Bar Association, you can register for ABA TECHSHOW 2019 at a special reduced rate. This discount only applies to registrants that qualify for the Standard registration and will save you $150. You can register online at www.techshow.com/pricing and include this unique discount code EP1901 at checkout to receive the discount.